This course is useful for anyone who wants to start a career in Architectural Visualization or for those who work already and might need to improve their skills. Architectural Visualization is a growing industry at present due to the high demand for computer generated images, animations, 3D modeling software and render engines. The demand is for photorealism in the shortest amount of time possible. You will learn to use 3D Max and V-Ray to model and render objects, interior and exterior spaces. By understanding how 3D Max works and by modeling very simple 3D objects at first you will feel confident to model any kind of complex object and space choosing the various methods that you will learn here. During the 3D Max training, we will use the Revit – 3DMax – Vray workflow to streamline the advantaged of Revit models and the BIM process. You will learn multiple workflows to export Revit model to 3D Max and create amazing visualizations with Vray. 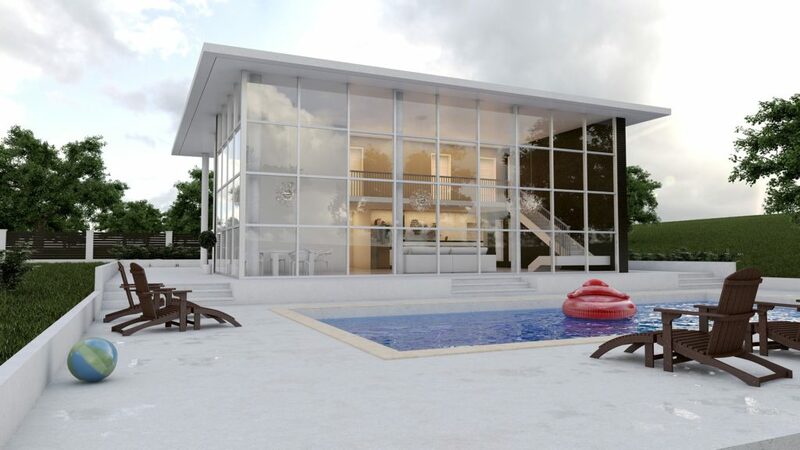 V-Ray will help you achieve the desired photorealism for your images. You will learn how to study reference images, how materials work, how to set up the lighting for your scene and how to optimize settings in order to achieve the image quality you want in the minimum amount of render time. The 3ds Max and V-Ray training will bring you from basic to intermediate level. Your learning will go from 0 to hero in 3 days. To book the 3ds Max and V-Ray Training, please contact us for further information.